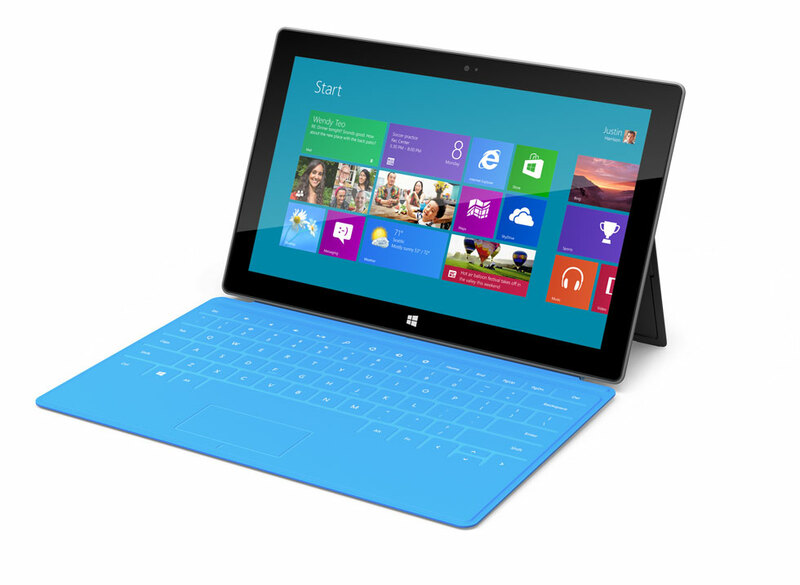 Last night Microsoft finally unveiled its first tablet computer, the Surface. The Windows 8 pro model, which will run on a Intel Core i5 Ivy Bridge processor, offer USB 3.0 connectivity and come with either 64GB or 128GB memory when using the MicroSDXC. It measures 13.5mm thick and weighs 903g. The Windows RT model, which will run on a Nvidia processor, offer USB 2.0, Office Home & Student 2013, offers 32GB or 64GB memory thanks to the MicroSD. Surprisingly, the RT is thinner and lighter than the Windows 8 Pro model at 9.3mm and 676g. They both offer 10.6″ ClearType HD screens (although with varying resolutions for each device), front and rear cameras, dual Wi-Fi and, as a little extra, a kickstand. Unlike Apple and its iPads, these tablets will ship with acccesories included. And not just poor quality, uncomfortable headphones. The Touch Cover is a 3mm magnetic sheet that doubles as a pressure sensitive keyboard. If you aren’t the best touch typer in the world, no need to worry. There is also a slightly fatter option, the Type Cover, a 5mm physical keyboard with a multi-touch trackpad. Fingers crossed Microsoft go full steam ahead with the Surface and we could see them hit the shelves in the next few months. The Windows 8 Pro is likely to land first, with the RT following a few months behind. No official pricing has been released as yet but speculation is pointing toward a pricepoint of between £350 and £620. 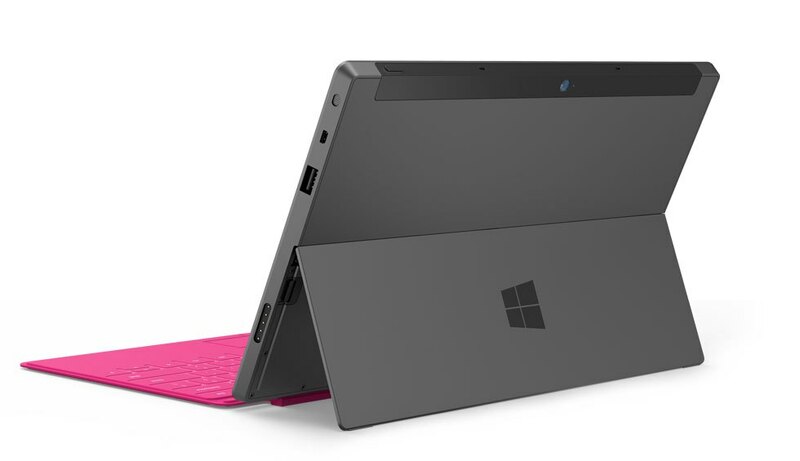 Personally, I can’t wait to get my hands on a Surface and I hope that they give the iPad a run for its money. While the OS and UI might not be as simple or friendly as the offering from Apple, it offers far more versatility and functionality, something that should appeal to businesses far and wide.